In the struggle between American cities for economic dominance, an influx of 50,000 new jobs seems too good to be true. But that’s exactly what tech giant Amazon is offering. More than 100 cities — ranging from Boston, to Toronto to a collective of several small North Carolina towns — have signaled interest in becoming home to Amazon’s second headquarters since the company announced its intentions to expand earlier this month. Lead by Mayor Bill Peduto, Pittsburgh is among those eager cities. The enthusiasm for a potential Amazon move here is justifiable — the benefits would far outweigh the costs. To get the most out of the situation, Pittsburgh should be careful to play to its strengths and emphasize its positives as a city, instead of simply offering tax breaks and other incentives. Amazon has tasked cities hoping to host its second headquarters with a tall list of requirements. These requirements include proximity to a major airport, a 100-acre space for the headquarters, a metropolitan population center of at least a million people and a stable business community. Amazon also encourages cities to offer them tax breaks. Our City can accomplish each of the requirements Amazon has listed for a potential host — and already has many of them. For example, housing in and around Pittsburgh is inexpensive. According to a 2017 report from the Annual Demographia International Housing Affordability Survey, Pittsburgh tied nationally for third best in affordable housing. While the City unquestionably has its strengths, it will need to improve on some of Amazon’s other criteria for any shot at the headquarters. The Almono development site — a 178-acre field located along the Monongahela River in Greenfield — is available for development and potentially large enough to accommodate working space for 50,000 employees. The only problem is how to get there. Currently, a mere three bus lines service the site and its surrounding neighborhood, with buses coming infrequently. What’s more, with cuts to public transportation funding in a recently proposed state budget, this service could become even spottier — especially on weekends and in the evening. One way to avoid a funding shortfall from the government is to involve the private sector in transportation. Residents from cities such as New York and San Francisco have seen the private sector improve commutes through the efforts of companies such as UberPool and Chariot. The private sector can innovate and respond to customer input, something the government is less able to do because of time and budgetary concerns. This innovation, along with the rest of the changes a new Amazon location would bring to the City, could vastly improve the lives of many Pittsburghers by increasing the presence of technology in our daily lives. Even aspects of living in the city as simple as the daily commute could be improved. But that doesn’t mean that the City shouldn’t guard itself against incentives that only benefit Amazon. Needless tax breaks will deprive the City of revenue that could be used to fund other projects or lower taxes for citizens, especially when the budget is already stretched thin. A break for Amazon alone would also be an unfair advantage for Amazon over local Pittsburgh businesses. Tax cuts and subsidies from governments have a history of turning out to be awful investments for their communities. One of the worst examples of this was a 2010 loan of almost $75 million from the state of Rhode Island to baseball player Curt Schilling’s video game company, meant to entice the business to move to Providence. When the company failed, Rhode Island taxpayers were forced to absorb the loan’s cost. Though Amazon is a hugely successful company, it’s very much possible that Amazon’s fortunes could see a turn for the worse. That failure, coupled with tax breaks, would be an incredibly expensive investment with little payoff. A successful Amazon location could transform Pittsburgh. People would move to Pittsburgh in search of jobs, helping to correct Pittsburgh’s population decline. And Amazon claims for every dollar it invested in Seattle, the city received $1.40 back — not a bad return. 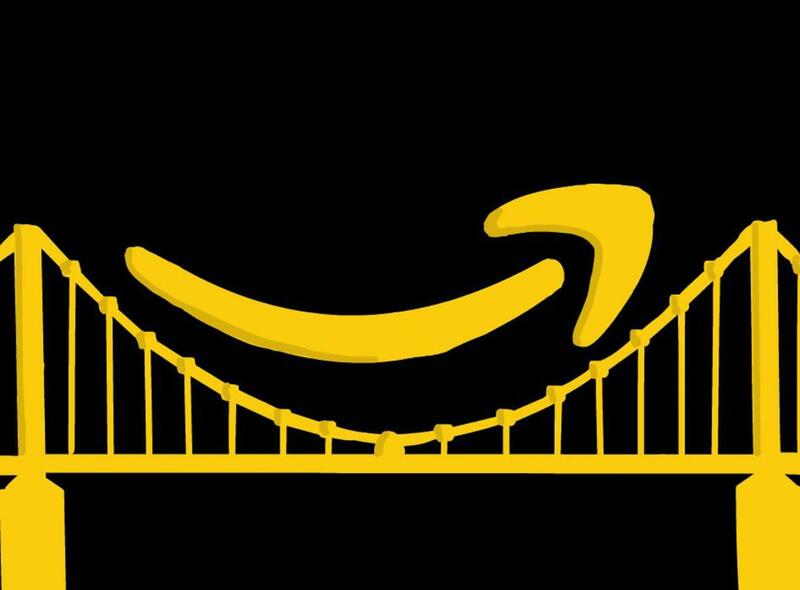 Pittsburgh can and should charm Amazon with its vibrant personality and talented population. And the improvements the City would have to make to fulfill Amazon’s requirements are within the realm of reasonability and would benefit all residents of Pittsburgh. But unfair tax breaks aren’t the way forward. Amazon’s demand for malleable lawmakers might be understandable from their point of view, but Pittsburgh shouldn’t oblige. Write to Ben at bps29@pitt.edu.